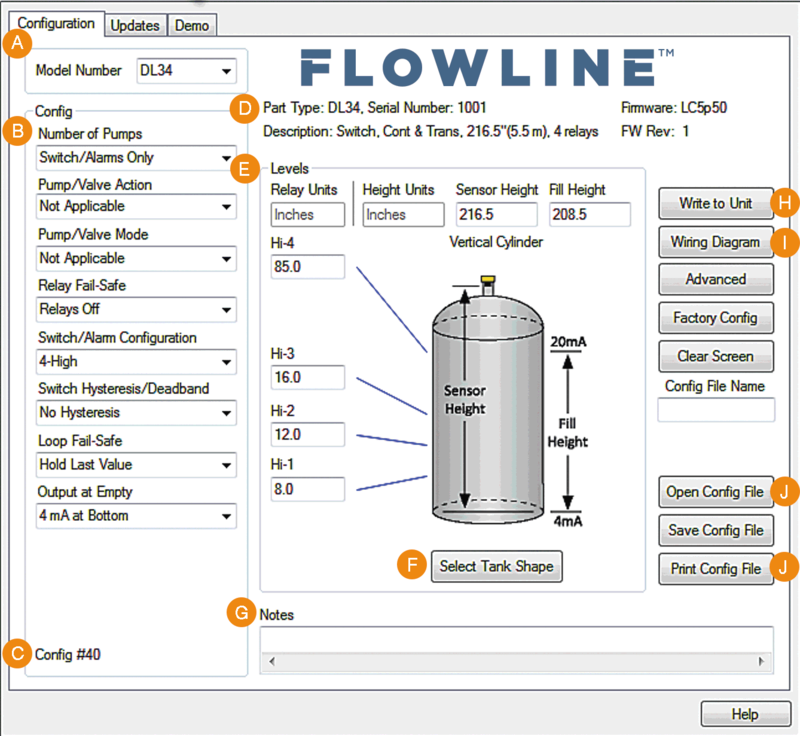 WebCal software is a PC utility program that enables users to easily configure and test compatible Flowline level sensors to their measurement and control requirements. Download your free copy in English or Chinese and connect your sensor through our Fob USB® adapter. Sensors are sold with and without Fobs. When connected to your level sensor, WebCal displays the factory or user configuration that was last written to the sensors non-volative memory. To download your free WebCal software, input the below information, read and accept the License Agreement terms and click Enter. You will then receive a download link via email. This is an agreement between Licensor and Licensee, who is being licensed to use the named Software. Licensee acknowledges that this is only a limited non-exclusive license. Licensor is and remains the owner of all titles, rights, and interests in the Software. Licensee will not make copies of the Software or allow copies of the Software to be made by others, unless preauthorized by the Licensor to do so in writing. Licensee may make copies of the Software for backup purposes only. LICENSOR DISCLAIMS ALL IMPLIED WARRANTIES INCLUDING ANY IMPLIED WARRANTY OF TITLE, MERCHANTABILITY, NON-INFRINGEMENT, OR OF FITNESS FOR A PARTICULAR PURPOSE. Notwithstanding the foregoing, LICENSOR IS NOT LIABLE TO LICENSEE FOR ANY DAMAGES, INCLUDING COMPENSATORY, SPECIAL, INCIDENTAL, EXEMPLARY, PUNITIVE OR CONSEQUENTIAL DAMAGES, CONNECTED WITH OR RESULTING FROM THIS LICENSE AGREEMENT OR LICENSEE'S USE OF THIS SOFTWARE. Licensee agrees to defend and indemnify Licensor and hold Licensor harmless from all claims, losses, damages, complaints, or expenses connected with or resulting from Licensee's business operations. Licensor has the right to terminate this License Agreement and Licensee's right to use this Software upon any material breach by Licensee. Licensee agrees to return to Licensor or to destroy all copies of the Software upon termination of the License. This License Agreement is the entire and exclusive agreement between Licensor and Licensee regarding this Software. This License Agreement replaces and supersedes all prior negotiations, dealings, and agreements between Licensor and Licensee regarding this Software. This License Agreement has been entered into in the State of California, and all questions with respect to the construction of this License Agreement, and the rights and liabilities of the parties shall be governed by the laws of California. This License Agreement is valid without Licensor's signature and it becomes effective upon the Licensee's download of the Software.